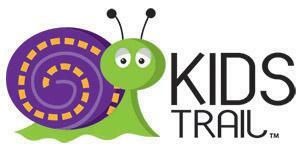 Go Blue Ridge Travel makes it easy to plan a kid friendly trip. Part of a series on family travel, in June we welcomed Jo-lynn Shane and her family from Trekaroo. We created a weekend of learning about history. It is very popular today to make history as real as possible. Here is 48 hours of letting children enjoy the past and learn about their heritage. “I’ve lived in eastern Pennsylvania for the past 20 years, but I grew up in a small town in southwestern Virginia that is located along the I-81 corridor just south of Roanoke. A few times a year, we travel across the PA Turnpike and down I-81 through the lush Shenandoah Valley to visit my family. Every time we travel that route, we drive right past Winchester, Virginia, but we never stopped for more than a quick bite to eat or a gasoline fill-up. Until this trip, I had no idea that Winchester holds such historical significance for our country. While we were there, we learned that Winchester was the training ground for George Washington during the French and Indian War as well as a location for prisoners during the Revolutionary War. But Winchester was also a strategic prize in the Civil War, changing hands some 70 times during those four years. There are several historic sites related to both wars that you can tour, and many of the buildings in town have fascinating stories to tell. The area also offers a variety of outdoor adventures, amusement parks, children’s museums, farm experiences, and underground caverns to explore. There are several family friendly locations in Winchester, VA. If a hotel is more your style, the Wingate by Wyndham is a great choice in the center of the city close to Shenandoah University. Studying history in a classroom is not exciting to anyone including a child. A great way to make history and social studies more appealing is to get the children to experience it for real. Beginning at the George Washington Headquarters where George as a 16 year old learned his surveying skills, a child becomes aware that life was very different and that children grew up fast in the past. George Washington used a little log building, now the middle room of George Washington Office Museum, as a military office from September 1755 to December of 1756 while Fort Loudoun was being constructed at the north end of town. Washington planned Fort Loudoun, supervised the work and brought his own blacksmiths from Mount Vernon to do the ironwork. Just up the street is Stonewall Jackson’s headquarters in 1861 to 1862. His home is actually further south in Lexington, Virginia. It was the last place he stayed with his wife before he suffered an untimely death at the prime of his career due to friendly fire. While this wasn’t his primary home, it contains the largest collection of Jackson memorabilia and personal objects from members of his staff. Again, within walking distance is the Old Court House Civil War Museum. A historic building with graffiti from both Northern and Southern soldiers which also houses a nationally recognized collection of over 3,000 Civil War artifacts. This Georgian style court house was used as a hospital, barracks and prison by both sides during the War. The Court House is right in the center of Old Town Winchester where there are over 35 restaurants. You can pick from a bistro to a pub to a historic Snow White Grill serving the best mini hamburgers to generations of Winchester natives. Perhaps one of the best kept secrets is the Museum of the Shenandoah Valley. The museum sits on the largest green space and is the home of both the historic house and gardens. Built by Robert Wood, son of James Wood, the founder of Winchester, the house was the home of Julian Wood Glass, Jr. In 2003, the galleries were built. Check out the calendar of events which include children’s events and performances. Gardens at Nights is always sold out so get your tickets early if visiting in the summer. Because history involves lots of facts, it can be boring for the young folks if we tag on too much at one time. Wrap up the day by taking a dip in the pool at your hotel. Then you are off to a 1950 Retro experience at the Family Drive In in Middletown, Virginia. Plan to indulge in movie food like popcorn, snow cones, and funnel cakes. It is fashionable to dress the kids in pj’s so they can fall asleep under the stars. The next morning grab a hearty breakfast at Just Like Grandma’s on the Old Town Mall. “We found this restaurant on our own, and we are so glad we went. It looks your typical hole-in-the-wall with a single counter running the length of the restaurant, but the food and service is anything BUT hole-in-the-wall. The owner, Perry, does all the cooking right in front of you. He’s also a wealth of information, and he was really sweet with our kids. The food was A-MAZING. He shredded a whole potato and dropped it into the deep fryer for our hashbrowns, broke fresh eggs into a bowl for our omelets, and made my 12-year-old daughter (who dislikes traditional American breakfast foods) fried chicken and french fries at 10am. Oh, and the sausage? To. Die. For. Do NOT come to Winchester without visiting Perry’s. This will now and forever more be our breakfast stop when we travel from Roanoke to Philly, ” said Shane. Then it is time to give the kids a real thrill. Geo-caching in a historic cemetery. Mt Hebron Cemetery dates back to the beginning 1700’s to today. You can take a tour or you can take your Geo-caching app and explore the grounds yourselves. Making a game out of it can expand the children’s knowledge in a fun learning experience. Lunch can be at another unique venue – Bonnie’s Blue. An old gasoline station, try the BBQ or Shrimp and Grits. The 37 Bypass is just down the road and easy to connect to Interstate 81 for your next adventure in Middletown, Virginia. Belle Grove and the Cedar Creek Battlefield will give the kids a look at the real landscape of the Valley back in those days. The Junior Ranger Program invites you to learn about its rich heritage, from Native Americans who first shaped the land, to pioneers of this frontier; this fertile area became one of the most important wheat producing regions of the entire South. The Valley also witnessed some of the most dramatic events of the Civil War, including the Battle of Cedar Creek, a decisive October 19, 1864 Union victory. Our Jr. Ranger activity booklet will bring you through time. Come to our Visitor Contact Station to pick one up and complete today. This may be too much but you can break the activities into weekend road trips if you are a local. History is exciting if you make it real.